The purpose of this guide is to help you identify and get access to our library's local newspapers holdings. Some of the newspapers are available online, while other newspapers are only available in microfilm. If the newspaper is only available on microfilm, then you need to come to the library to view the articles. To find old copies of the Roanoke-Chowan News-Herald you should know that the newspaper has had several name changes and merged with other local newspapers. A chart that shows the different newspapers that merged together to form the Roanoke-Chowan News-Herald. What local newspapers can I search online? Some dates may be missing. What local newspapers can I search only at your library? What if I am unable to travel to campus, but need an article that is only available at your library? 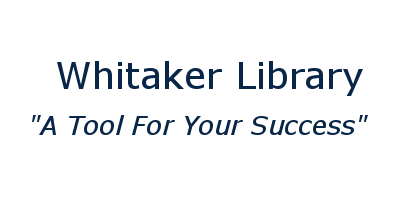 Whitaker Library will look up that article for a small research fee. Please see our Roanoke-Chowan News-Herald Research Policy. When can I visit your library? You are welcome to visit our library any time we are open. How do I drive to your campus?